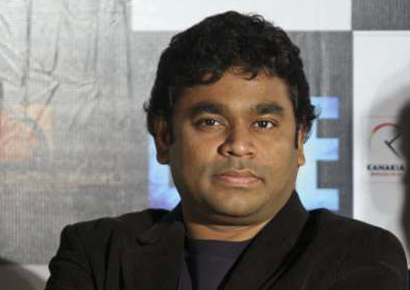 Grammy award-winning musician AR Rahman, along with The German Film Orchestra Babelsberg, is all set to write a new chapter in the history of musical collaboration with a unique endeavour — ‘Classic Incantations: The German Film Orchestra Babelsberg performs AR Rahman’. The concert will see Babelsberg pay tribute to Rahman in a multi-city tour as part of the Year of Germany in India celebrations. The concert tour marks the centenary year of both Studio Babelsberg and Indian Cinema that started out back in 1912. Under the aegis of ‘Germany and India 2011-2012: Infinite Opportunities’, this collaboration brings out the vibrant exchange in art and culture laying a strong emphasis on the historical friendship between India and Germany. Choir members from Rahman’s KM Music Conservatory, Chennai, and renowned soloists will join the orchestra with performances scheduled in Mumbai, Delhi, Chennai, Kolkata and Bengaluru. Highlights include compositions from Rahman’s music career arranged by Matt Dunkley (London) who will conduct the concerts that starts in January 2012.